Almost all readers know the outlines of the controversy surrounding the Bears Ears National Monument. How for years those supporting the monument attempted to negotiate with state and local officials in Utah to craft a compromise to protect this highly significant landscape. How when this failed President Obama, at the very end of his term, used his presidential powers under the 1906 Antiquities Act to designate the region as a national monument. And how within less than a year the Trump administration reversed this action shrinking Bears Ears by over 85%. 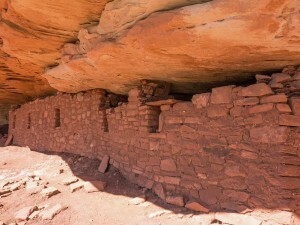 The creation of Bears Ears National Monument did not just set aside public land for enhanced management by federal agencies, it established a new management approach whereby five Native American tribes with historic associations to the place were part of the management of its future. At the recent Johns Hopkins program, Willie Gray Eyes, Chairman of Utah Diné Bikéyah, told how this monument was rooted in the idea of ancestral land and all the resources of mother earth – water, subsistence areas for hunting and gathering, as well as ceremonial and sacred sites. He noted that native people take a holistic perspective of place and for this reason traditional knowledge is as important as science to its management. Octavius Seowtewa of the Pueblo of Zuni spoke of the grassroots effort to have the monument recognized. Five tribes came together and to form a coalition to work through challenging issues recognizing each other’s heritage and establishing boundaries for the monument. The Bears Ears Inter-Tribal Coalition—an alliance of the Navajo, Hopi, Ute Indian Tribe, Ute Mountain Ute, and Zuni tribes was to be a ‘voice for the ancestors’ in the management and protection of this new national monument. This was proposed as an unprecedented level of collaborative management between tribes and the federal government for the new national monument. The Bears Ears’ lands would remain in public hands and open to all Americans. But for the first time, those lands would be managed in a way that also honors the worldview of today’s Native people and their ancestors. But as we know all of this was not to be. Although the monument designation moved forward on December 28, 2016, as soon as the new administration was in power, it was high on Secretary Zinke’s list to radically scale it back. And that is what happened. In conclusion, we as a nation have lost so much with the shrinking of Bears Ears National Monument. There will be less protection for an estimated 100,000 archaeological sites as well as the paleontological and geological wonders. We have missed a chance to manage part of our heritage on a landscape scale and most tragically the chance to do so in partnership with the tribes that have lived upon and cared for this land for generations untold. Below – a video of the event. Many thanks to Sara Chicone of The Cultural Heritage Management Graduate Program of Advanced Academic Programs, Johns Hopkins University and to all the participants on the panel on Bears Ears National Monument. For the whole story watch the program here.